Shankaracharya Jayendra Saraswati’s visit to Sanatan’s Ashram at Devad, Panvel! Panvel (Maharashtra): Dharma has no birth and death. Intermittently when it is ruined then it marks the beginning of development. 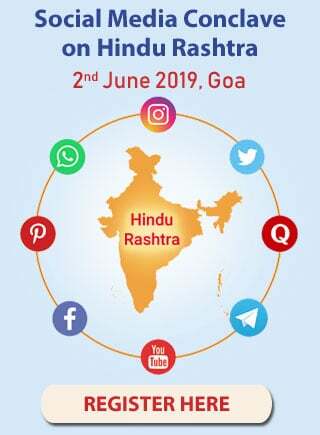 Sanatan Sanstha too has been promoting Dharma by imbibing its importance of Dharmacharan (righteous conduct), on the society with great efforts. Jagadguru of Kanchi Kamakoti Peeth Sree Shankracharya Jayendra Saraswati blessed Sanatan Sanstha saying that its mission would spread in the whole country. While explaining the importance of Dharamcharan (To follow Dharma) Sree Shakaracharya said, “Ours is a Vaidik Darma, it was no created. Hence it is eternal. As there are always 4 weeks, the cycle of the 4 Yugas, Satya, Treta, Dwapar and Kali is eternally continuing. 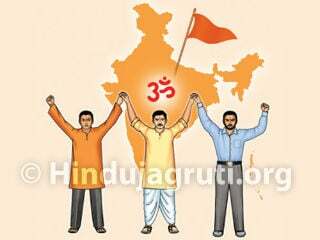 Though it is known as Santan Dharma, Hindu Dharma. God has said, ‘Dharmo rakshati rakshtah’ meaning God protects those who protect Dharma. When there is increase in people not respecting Dharma God incarnates and Dharmadrohis are destroyed. Jagadguru Sree Shankracharya Jayendra Saraswati entered the ashram at 9 am. along with His devotees in Devad Ashram, Panvel. All seekers received him standing on both sides with folding hands (Namaskar) of the entrance. Rangolis were drawn on the way which gave a festive look. The atmosphere was charged and Sattvik with His entry as all Hindus have faith in Him. He entered touching the Kalash having holy water and coconut. H.H. Parsharam Pande Maharaj received Him with great honour. Shri. 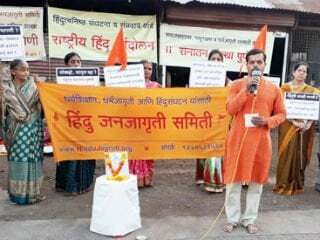 Shivaji Vatkar, Coordinator of Mumbai,Thane and Raigad Districts, Hindu Janajagruti Samiti (HJS), showed Him an exhibition of books with subjects concerning Spiritual Scriptures, Rashtra and Dharma and the Sattvik products produced by Sanatan. Thereafter He also inspected the blood stains on the picture of H.H. DR. Athavale and on the clothes displayed there, caused by attack of negative energies. When He was to enter the hall conch-shell was blown. When He sat on His seat, Guru’s prayer was sung. H.H. 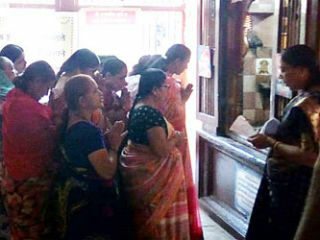 Pande Maharaj worshipped Sri Shankarachaya’s wooden sandles offering Tulsi garland. He wss presented Sanatan’s creation of ‘Krushna-Arjun frame–work and Sanatan’s Books. Sri Shankarachaya honoured H.H. Pande Maharaj and Shri. Vatkar. Sanantan Sanstha’s artist from subtle section showed Him His subtle version before coming to the Ashram. The programme ended with a shlok to keep everyone happy. Sou. Prachiti Deshmukh of Sanatan compered. Shri. Vatkar showed Him Sree Shankaracharya’s pictures and information published in all periodicals of Sanatan after His earlier visit. Jagadguru Sree. 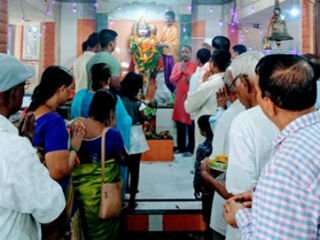 Shankracharya Jayendra Saraswati’s connection with Sanatan! Jagadguru Sree Shankracharya Jayendra Saraswati’s first visit to Santan’s Devad Ashram, Panvel, was in January 2003. To welcome His visit ‘Dainik Sanatan Prabhat’ published a coloured special issue. 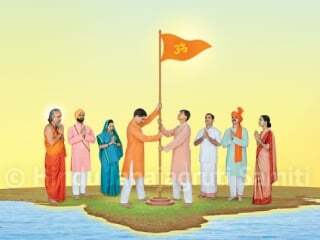 HJS had organized a public Dharmasabha at Farmagudi ground in Goa, on 20.4.2003 on the occasion of Golden Jubily celebration of Jagadguru Sree Shankracharya Jayendra Saraswati’s taking seat as Jagdguru. Jagadguru Sree Shankracharya Jayendra Saraswati and Sanatan Sanstha’s founder DR. Jayant Balaji Athvale addressed the gathering. Later on 21.4.2003 Jagadguru Sri. Shankracharya Jayendra Saraswati paid an auspicious visit to Sanatan’s Ashram at Ponda (Goa). H.H. DR. Jayant Balaji Athvale Himself gave Him all the information of Sanatan’s mission regarding Rashtra and Dharma. He also visited all sections in the Ashram and try to get the information with great interest. On 11.11.2004 He was arrested by Jayalalita government in Tamilnadu. H.H. 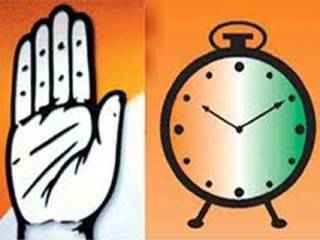 DR. Jayant Balaji Athvale expressed His sorrow over it by writing a letter to HIM. Shri. Prutviraj Hajare, editor, ‘Dainik Sanatan Prabhat met Sree Shankaracharya on the occasion of inauguration of Sree Shakara Dharmik Channel at Bangalore. Sree Shankaracharya too revived memories of His visits to Sanatan’s Ashrams and praised Sanatan’s mission. 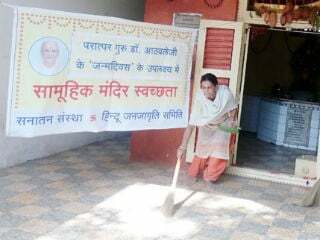 His love for Sanatan is still there and His second visit to Devad Ashram proves it.